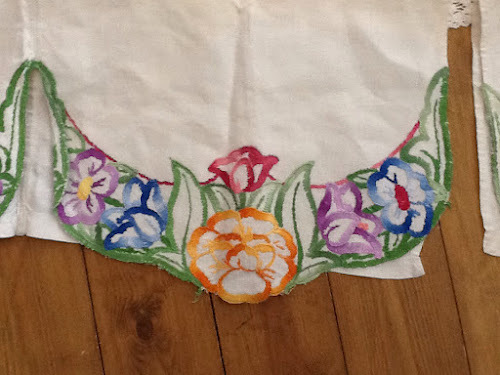 Busy day in the studio this morning - we have been asked to make a memory quilt out of lots of embroidered tablecloths and doilies . We have got the basic layout sorted and have got everything pinned together ready for stitching. Hopefully next week we will be able to show you a picture of it all coming together. 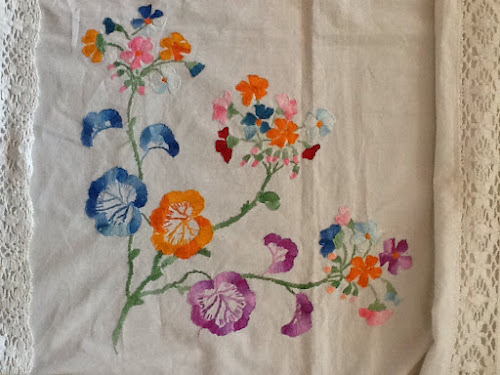 I have posted some photos of some of the original embroideries -it's great to create something new out of salvaged doilies and vintage tablecloths. 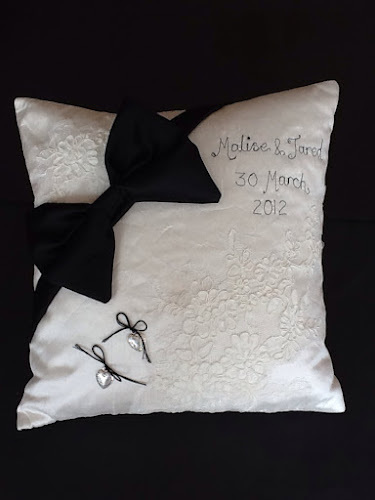 Below is a picture of a wedding cushion I made a couple of weeks ago - the fabrics and lace are from remnants from the brides dress. The wedding was last weekend - congratulations!